The Misaskim office is not usually the place to find a group of young, energetic 5th grade boys feasting on pizza and chips…but that’s exactly what took place this past Tuesday, April 4th. 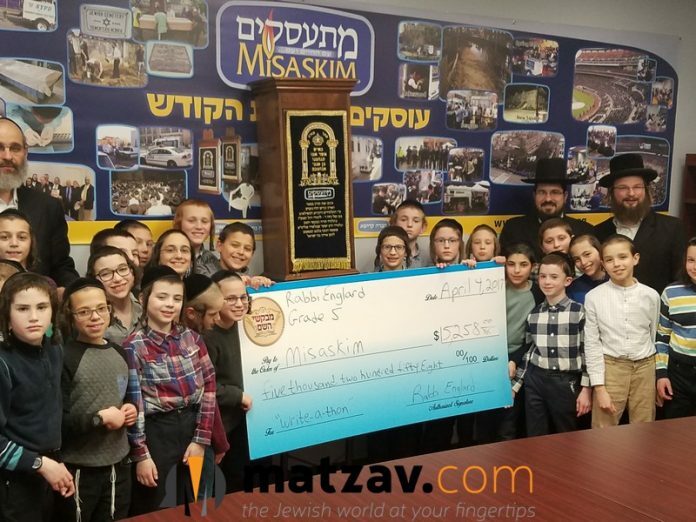 As part of Yeshiva Mivakshei Hashem’s secular studies program, the boys had voted to raise money to help Misaskim provide the Jewish community with all types of services for the bereaved. The boys then took part in a yeshiva sponsored Write-A-Thon, in which the boys wrote personal letters to friends and relatives, asking them to join in sponsoring a new Aron Kodesh to house one of the Misaskim Sifrei Torah. The results were magnificent, as more than $5,000 was raised for this Mitzvah! On Tuesday, the boys were accompanied by Rabbi Englard, who spearheaded this campaign and who brought the giant check with him to present to the Misaskim staff. 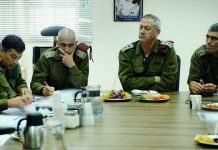 Rabbi Yankie Meyer, president of Misaskim, readily accepted the honor. 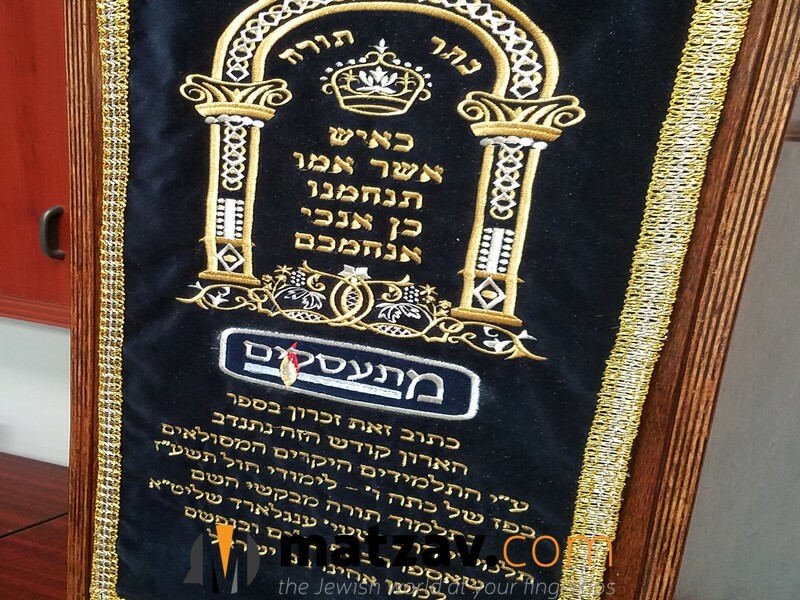 Kol Hakovod to Yeshiva Mivakshei Hashem. Previous articleIs Trump Ending The White House Pesach Seder Tradition?